Please consider a visit to Team O'Neil for your next project! With two titles secured in October, Team O’Neil Motorsports recently completed a successful 2017 season of competition. With the holidays on our doorstep and winter weather already arriving, the time has come for drivers to prepare their cars (and themselves) for safe winter travel. Building on 20 years of rally training and motorsports competition, Team O’Neil Rally School’s Motorsports division is excited to announce major changes. This year’s New England Forest Rally (NEFR) held July 21-22 marked the first stage rally competition for the Team O’Neil Motorsports Ford Focus RS. This years New England Forest Rally will see the return of North American rally favorite Andrew Comrie-Picard (ACP). 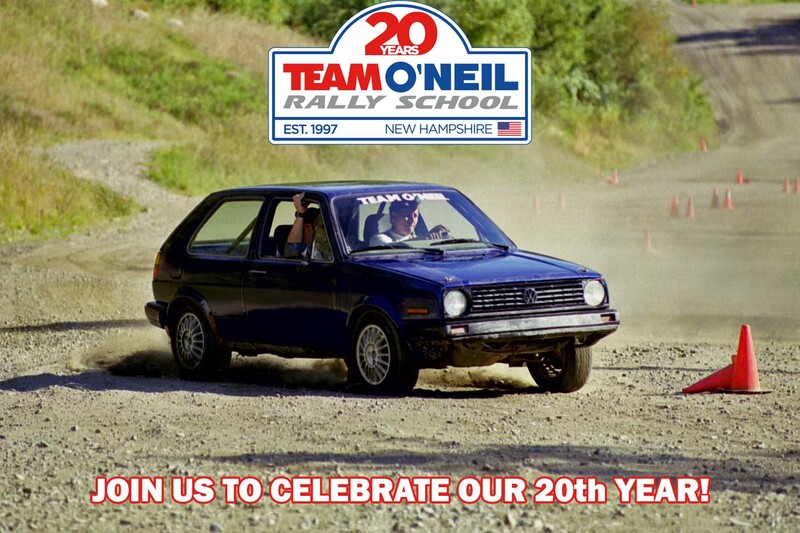 2017 marks the 20th year of rally driving instruction at Team O’Neil Rally School in Dalton, NH. Team O’Neil Rally School has announced a brand-new course, Drift School. The Team O’Neil Rally School located in northern New Hampshire offers a series of one-day Winter Driving Courses that give students the skills and instincts to safely navigate slippery roads. Team O’Neil Rally School, North America’s premier loose surface driving school is announcing “Happy Rallydays”; a holiday merchandise sale for automotive and rally racing fans. A 15-year-old without a driver’s license was gleefully sliding the car sideways through turn after turn, the gas pedal floored and the occupants straining against their seatbelts as they were thrown from side to side.